The CNGS (CERN Neutrinos to Gran Sasso) project aims at investigating the 'oscillation' of neutrinos. The project is motivated by the results obtained at the Superkamiokande detector in Japan and supported by other experiments, observing neutrinos produced by cosmic rays in the atmosphere. These experiments measure a significant deficit in the flux of deteced muon-type neutrinos. 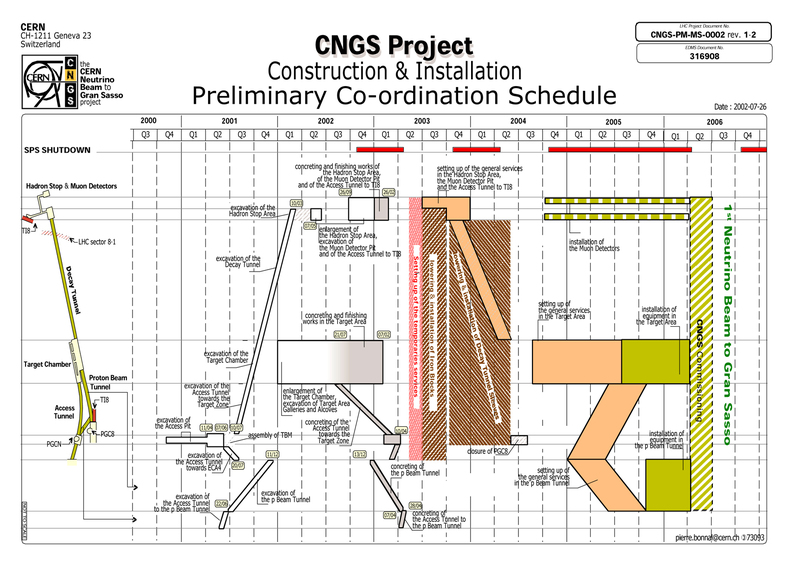 An overview of the CNGS project for non-specialists is provided by the General Description, technical details can be found in various reports.